Officers are currently expected to return to work Thursday despite subzero temperature forecasts. Security officers normally stationed at street-corner “blue light” emergency phones will not stand at their posts on Tuesday and Wednesday nights, as temperatures are forecasted to drop to 18 degrees below zero or lower. Officers are currently expected to return to their outdoor posts Thursday night—despite a currently forecasted high of negative 1 degree Fahrenheit—according to the extreme weather plan provided to The Maroon by Allied Universal, the University’s security subcontractor. Barbara Moreno, Allied Universal vice president of marketing, outlined the security contractor’s cold weather plan, which is staggered according to the severity of the cold and windchill. When temperatures fall beneath 32 degrees Fahrenheit, the University of Chicago Police Department (UCPD) provides patrol car access to the security officers, with hourly 10-minute warming breaks and designated warming locations, Moreno’s statement explains. At 15 degrees or below, the “intermediate cold weather plan” is put into effect: The number of exterior security posts is reduced to a total of 28 posts. Shifts last from 4 p.m. to 2 a.m., and additional personnel are deployed to provide supplementary warming breaks. If temperatures (and/or wind chill) drop below five degrees, the “full cold weather plan” is activated: The number of posts is further reduced to 15, and two officers are assigned to each post—the officers switch off every hour, with one officer standing post while the other warms up indoors. Finally, if temperatures (and/or wind chill) drop beneath negative 15 degrees—as is expected on Wednesday—all Allied Universal outdoor post coverage is suspended. Security officers do not receive overtime pay or other compensation for working in the extreme conditions, two officers who asked to remain anonymous told The Maroon. Allied Universal did not respond to a request for confirmation by the time of this story’s publication. 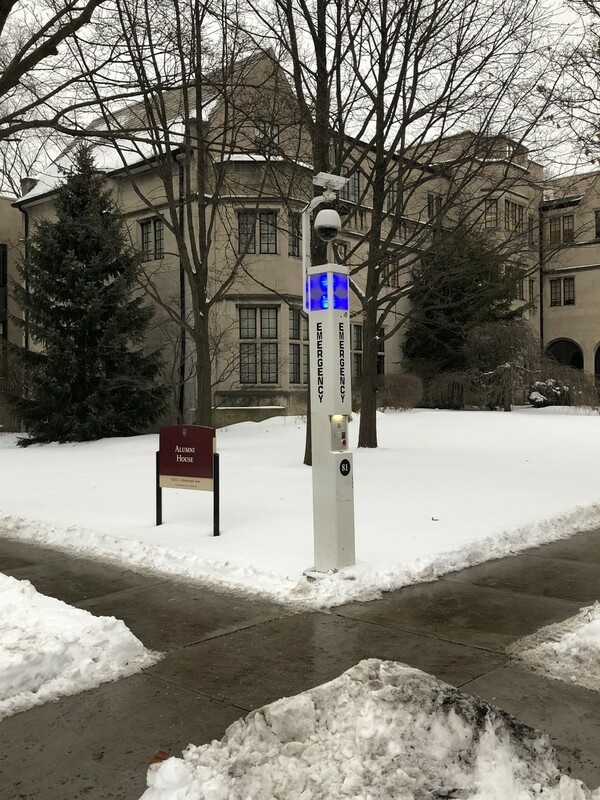 The Maroon asked the University why the threshold for suspending outdoor guard posts is set at negative 15 degrees—a temperature that is rarely met, and approaches historical levels of cold. Spokesperson Marielle Sainvilus did not respond, but directed The Maroon to the University’s official statement on the cancellation.